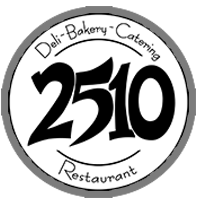 2510 Restaurant | Experience Wausau's Landmark Restaurant! Eggs, bacon, tomatoes, onions and cheese all rolled up in a soft tortilla and topped with salsa and cheese. Two poached eggs and Canadian bacon on an English muffin and topped with hollandaise sauce. Choose hash browns or American fries. Two poached eggs, sausage, feta cheese and spinach on an English muffin and topped with hollandaise sauce. Choose hash browns or American fries. Two eggs any style served with your choice of ham, bacon, or sausage and hash browns or American fries. Slow roasted brisket combined with potatoes, onions and our special seasonings. Served with two eggs and choice of toast. Two eggs any style served with American fries or hash browns and your choice of ham, bacon or sausage and toast. Too good to believe! Folded eggs, ham and cheese in a freshly baked croissant. Smothered with hollandaise sauce and sprinkled with bacon. Served with American fries or hash browns. Three slices of our own apple fritter bread creates an exciting twist to the traditional French toast. Two eggs, bacon or sausage and French toast or pancakes. Three large, fresh pancakes or three slices of French toast. Served with 2510's own slow roasted corned beef, with Swiss cheese and crisp kraut, served on a fresh baked bagel. Your choice of American fries or hash browns. Our Special Two Egg Scrams are Served with Fresh Fruit and a Bakery-Fresh Muffin. Mixed fresh vegetables and a three cheese blend. Ham with a three cheese blend. Make Your Omelet Into a Sandwich, Wrap, Croissant or Flat Bread at No Extra Charge. with Your Choice of an English Muffin or Toast (White, Cinnamon, Whole Wheat). Add Hollandaise for 0.50 Extra. Mixed fresh vegetables and a cheese blend. Seasoned beef, peppers, onions and Swiss cheese. Tomatoes, sauteed onions, bell peppers, ham and cheese. Spinach with tomatoes and feta cheese. Ham, sausage and bacon with our three cheese blend, served with hash browns covered with sausage gravy. A three cheese blend with ham. One egg, American fries or hash browns, your choice of meat and one slice of toast. Cup of hot oatmeal served with fresh fruit and toast. One slice of French toast served with a cup of fruit and one piece of bacon or sausage. Served with one slice of toast and cup of fruit. One Mickey-shaped pancake with cup of fruit and one piece of bacon or sausage. Don't Forget to Order a Cocktail.